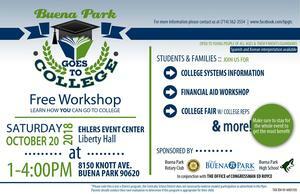 Attend this FREE workshop this October to learn how your child can go to college. 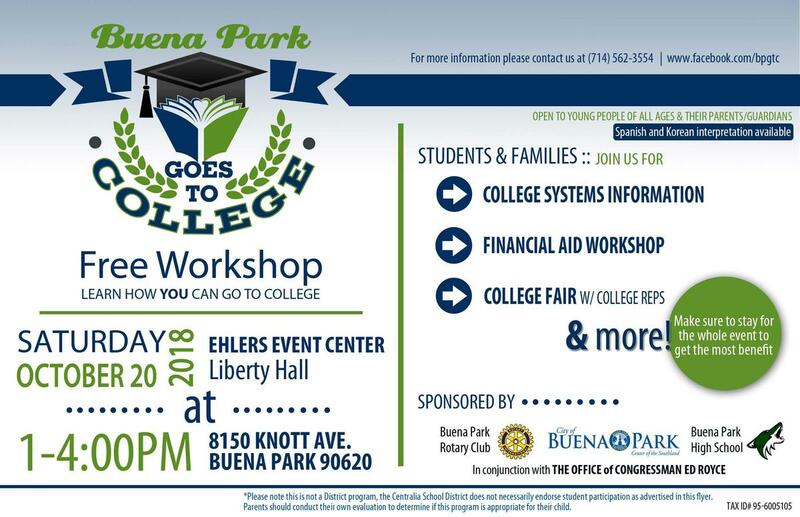 On Saturday October 20th, join other students and their families for an afternoon of learning about College systems, Financial Aid, and more. Attendees will also have the opportunity to meet College representatives. The event is to be held at the Ehlers Event Center, from 1-4:00 p.m. See the flyers for more information!